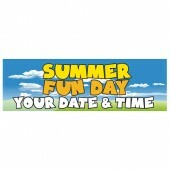 School Banners from Discount Banners, ideal for you to advertise places, seasonal events, clubs and classes. 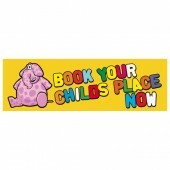 Let parents and students know what you have to offer with one of our eye catching pre-designed School Banners. 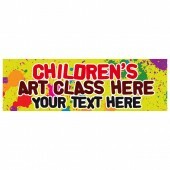 If you would like to adapt or personalise one of our School Banners please contact one of our advisors on 0844 800 1020 All of our School Banners are printed on high quality, weather resistant PVC using UV stable inks that mean that you have a fantastic, full colour product that lasts, suitable for indoor or outdoor use. 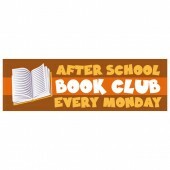 School Banners are available in 8’x2’ or 10’x3’ depending on your needs. You should receive your School Banner 2-5 days after we have received your order.